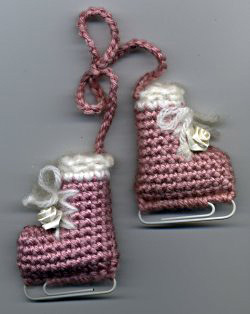 On pinterest, I pinned a really cute looking ice skate ornament (or decoration). When I was ready to make it, I clicked it and, of course, the destination page didn’t actually have any instructions. Pinterest sort of makes me crazy this way. It’s a great scrapbook for ideas, but sometimes the destinations are next to useless. I decided to do a search — let’s find a way to make these things and maybe some different ideas for how to make them. I don’t have any procedures or instructions or anything, but some better ideas all in one place is nice, too! First, an image that shows how to insert the paperclip, so you can an idea of how it’s made. 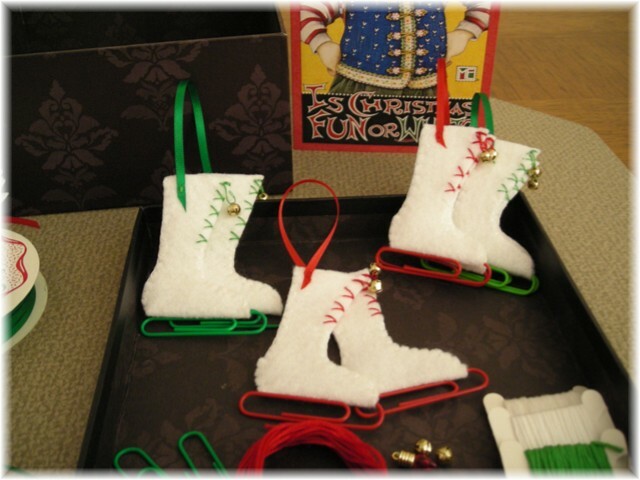 You can fill the ice skates with polyfill fluff. 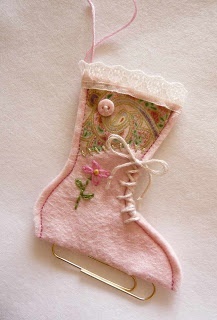 I also like the little bell and the pretty gold thread. Lace and embroidery makes this skate look very fancy! 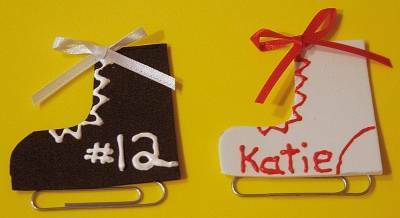 You can personalize them for different people. 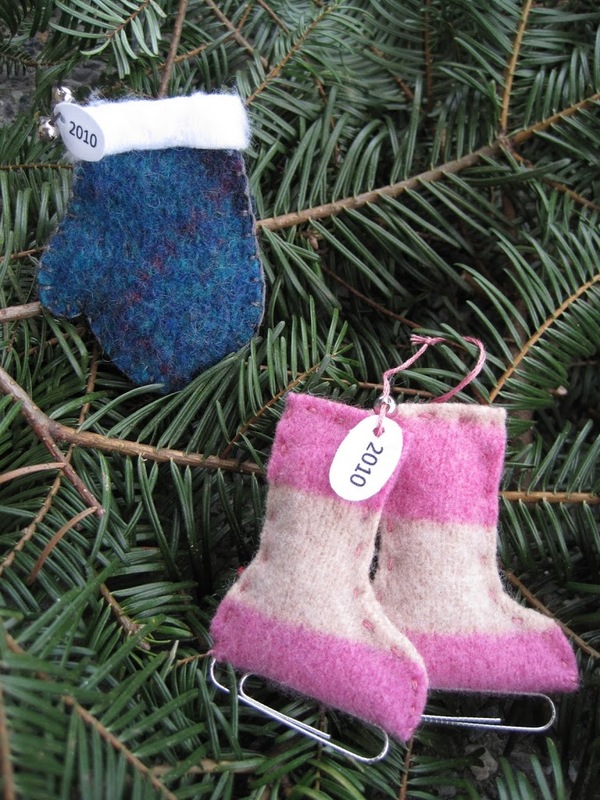 These also have minimal sewing, so might be easier for younger kids. Using different colored paperclips is interesting, too! I think we’ll have fun with this. Making them – or talking about them?